The Hong Kong–Zhuhai–Macau Bridge (HZMB), officially the Hong Kong–Zhuhai–Macao Bridge, is a 55-kilometre (34 mi) bridge–tunnel system consisting of a series of three cable-stayed bridges, an undersea tunnel, and four artificial islands. It is both the longest sea crossing and the longest fixed link on earth. The HZMB spans the Lingding and Jiuzhou channels, connecting Hong Kong, Macau, and Zhuhai—three major cities on the Pearl River Delta. 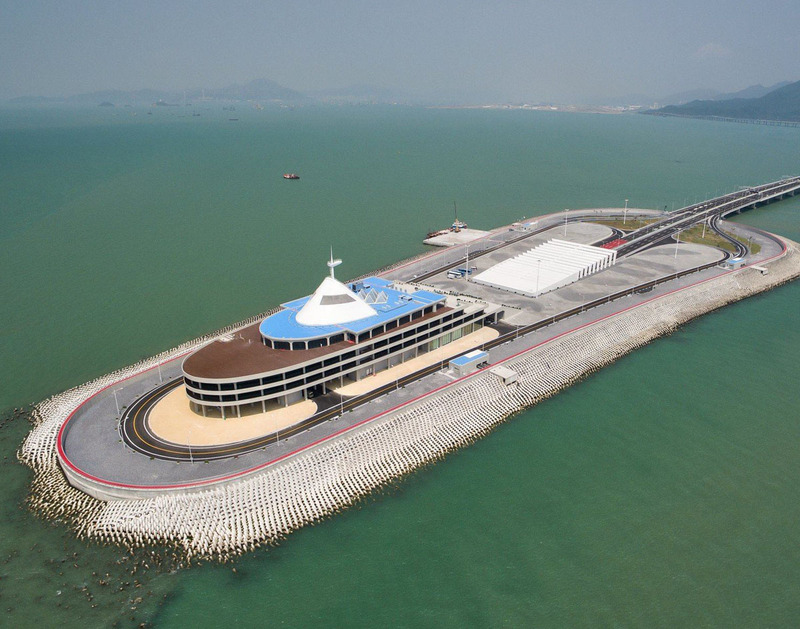 The HZMB was designed to last for 120 years and built with a cost of 126.9 billion yuan (US$ 18.77 billion). The cost of constructing the Main Bridge was estimated at 51.1 billion yuan (US$ 7.56 billion) funded by bank loans and shared among the governments of mainland China, Hong Kong and Macau. Originally set to be opened to traffic in late 2016, the structure was completed on 6 February 2018 and journalists were subsequently given rides over the bridge.On 24 October 2018, the HZMB was opened to the public after its inauguration a day earlier by Xi Jinping, General Secretary of the Communist Party of China and President of the People's Republic of China. The HZMB project is part of a Beijing-driven strategy to create an economic hub and promote the economic development of the whole area of the Pearl River Delta, which is also known as Greater Bay Area.Hoping to leverage the bridge and create an economic zone linking the three cities, Zhuhai's Hengqin area was designated as a free trade zone in 2015. We supply expansion joint covers for different stations including floor, wall, and parking. This project is very strict at waterproofing, after long work, finally we finish by a perfect solution. Meishuo is proud to be part of this project, and witnessed this great project.